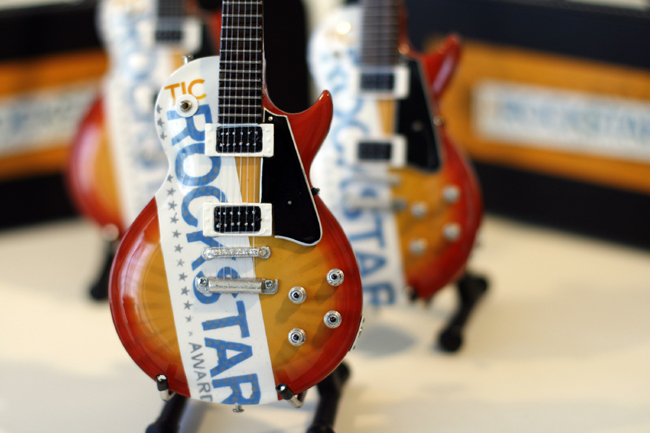 Working with TIC on their ROCKSTAR AWARD miniature model guitars was a great project from start to finish. 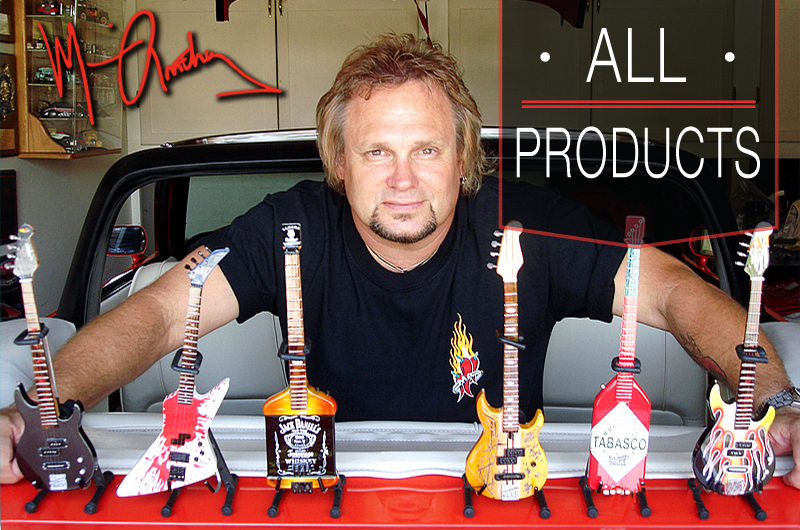 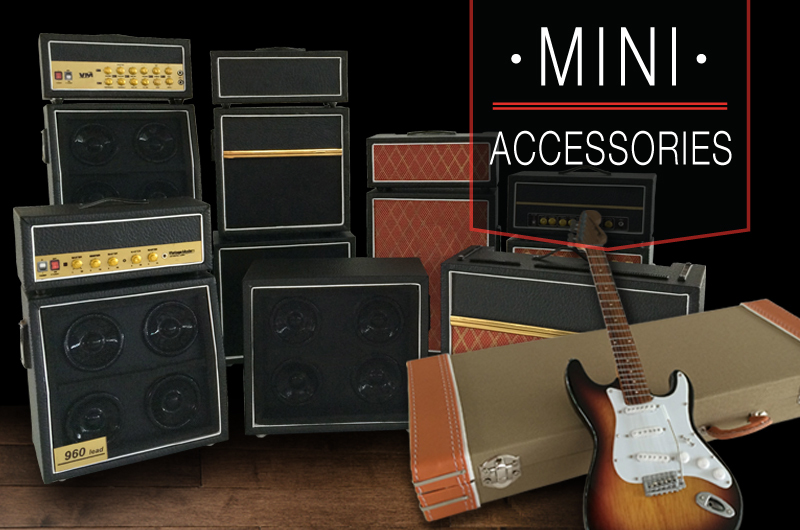 The final miniature guitars were completed with a custom black guitar case. 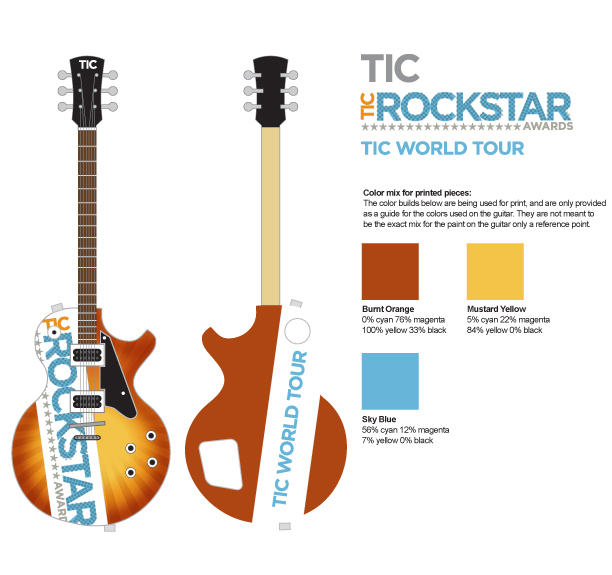 The TIC model guitars were built from color samples and a graphic rendering. 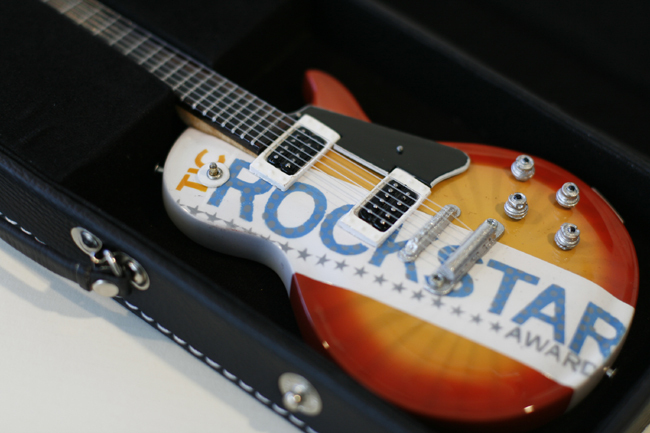 Truly a ROCKIN’ company gift and award! 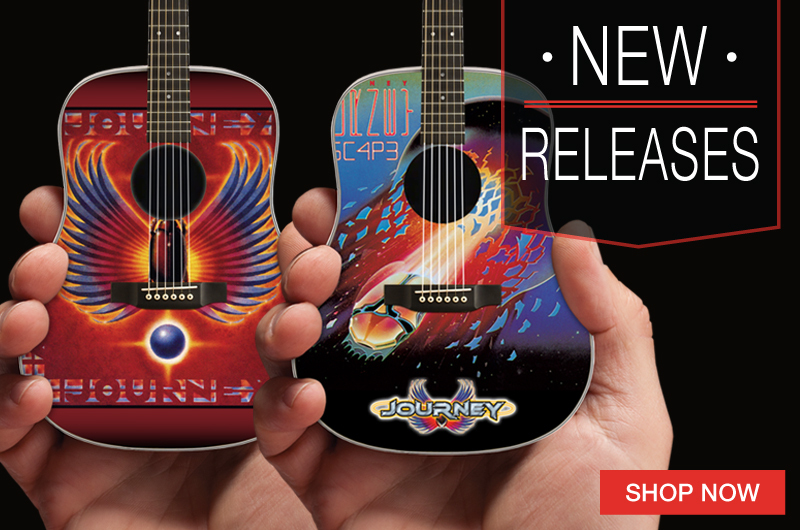 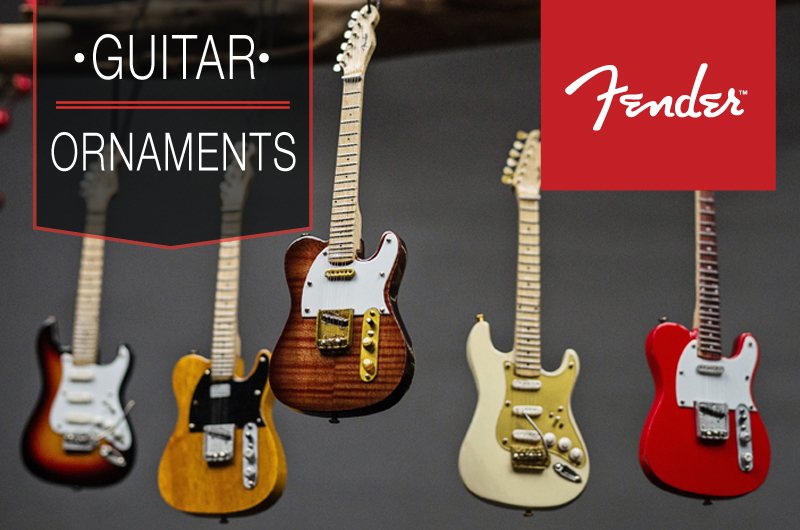 Custom promotional miniature guitars create a unique and long-lasting goodwill for your brand. 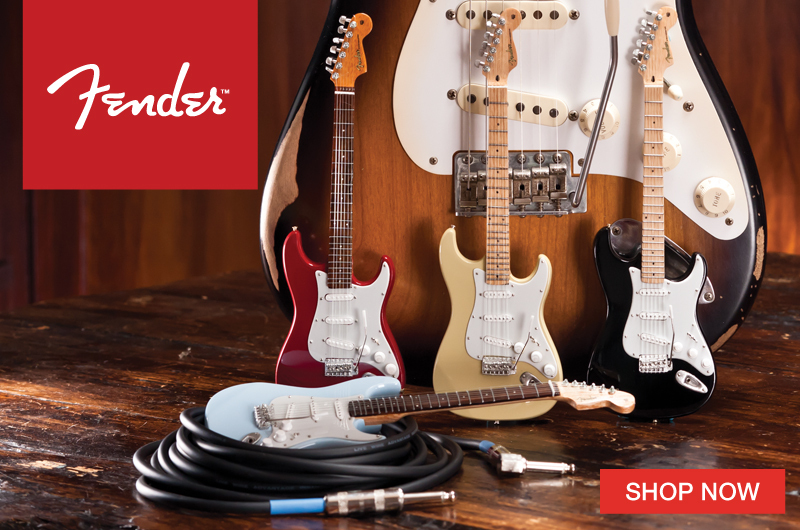 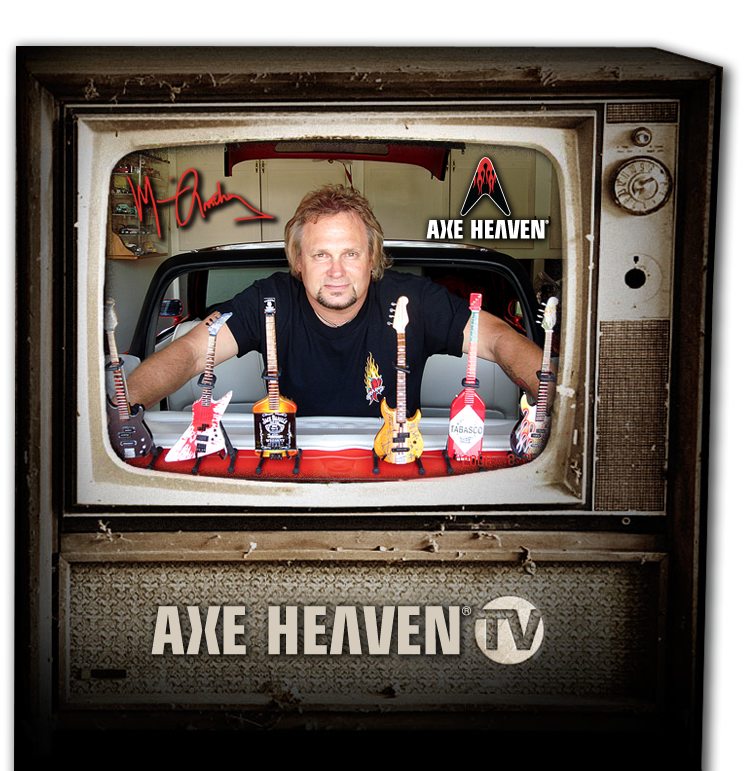 Promo guitars make a great company gift for your customers or incentive award for your employees. 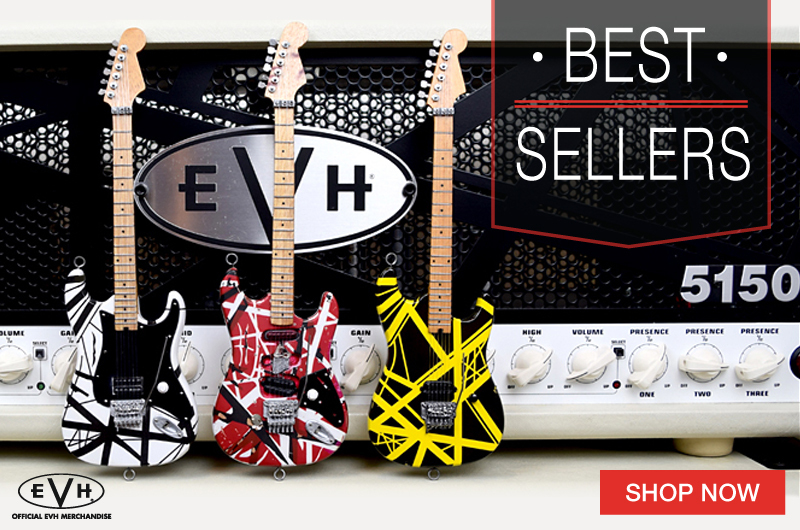 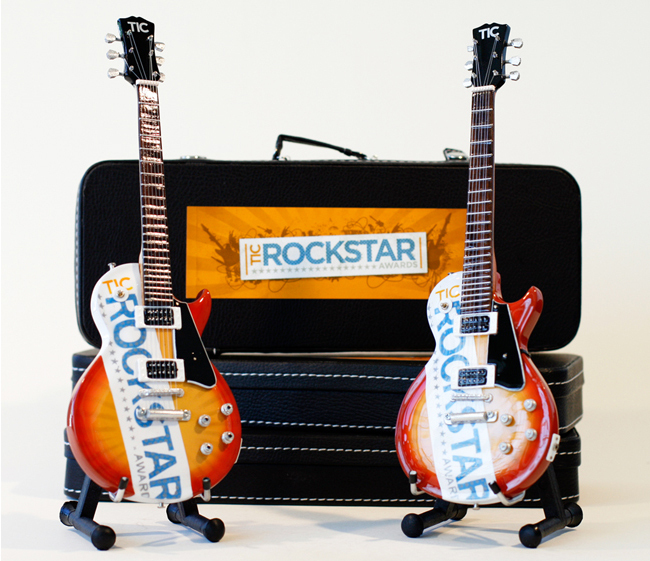 ROCKSTAR AWARD miniature promo guitars shown with stands and miniature guitar case. 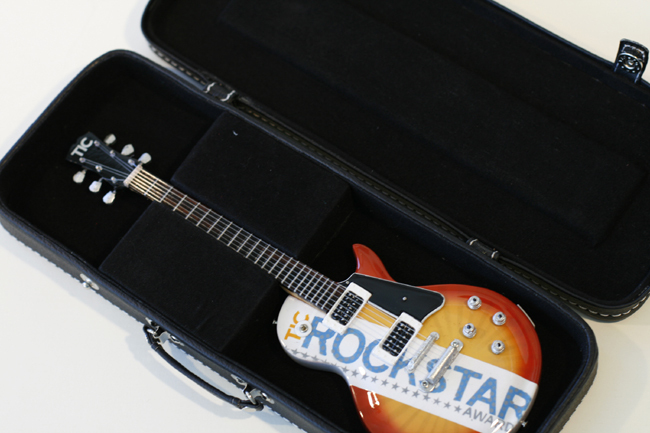 This custom-made corporate promotional miniature guitar was created for the TIC ROCKSTAR AWARD special event.